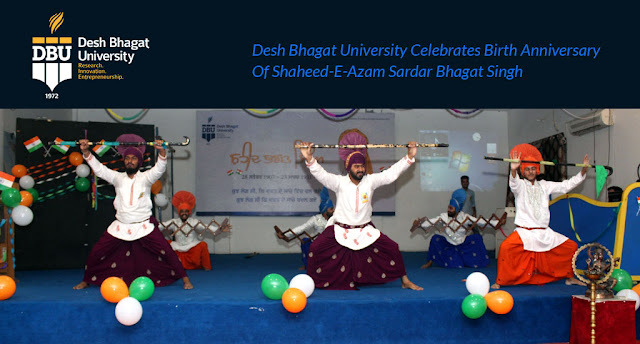 Desh Bhagat University, best private university in Punjab (2nd Rank NIRF Ranking: MHRD, Govt. of India) celebrated 110th birth anniversary of Shaheed-E-Azam Sardar Bhagat Singh with respect and fervour. 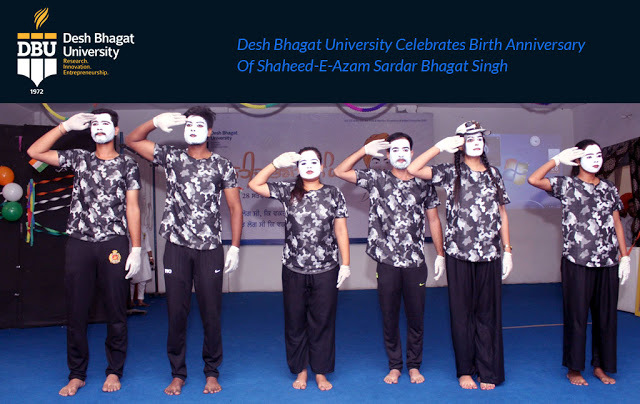 At Desh Bhagat Engineering College in Punjab a special function was organized by Faculty of Engineering and Technology to celebrate, in which staff and students from all other faculties participated with full enthusiasm. The Chief Guest of the programme was Sant Balbir Singh Seechewal who lit the ceremonial lamp and paid floral tributes to Sardar Bhagat Singh. While addressing the students he encouraged them to dream big with passion like Sardar Bhagat Singh, who had only one dream to make free his country from the British rule. S. Balbir Singh also advised the youth to be responsible towards Mother Nature and do something daily to protect the environment. He emphasized on organic farming rather than farming with pesticides. 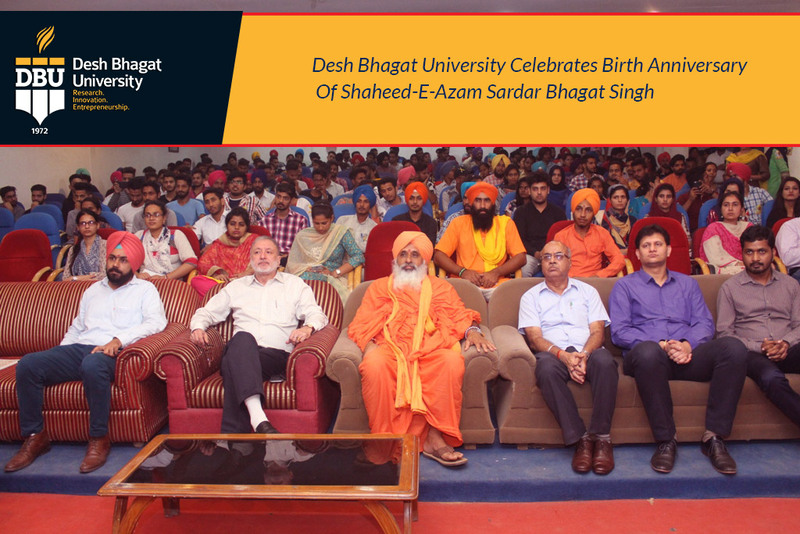 Chancellor Dr. Zora Singh urged the students to learn from Bhagat Singh’s life who fought for the freedom of the country till his last breath. Dr. Singh said that the name of this University and other Institutions was kept 'Desh Bhagat' to commemorate the sacrifices of the patriots and martyrs of India. 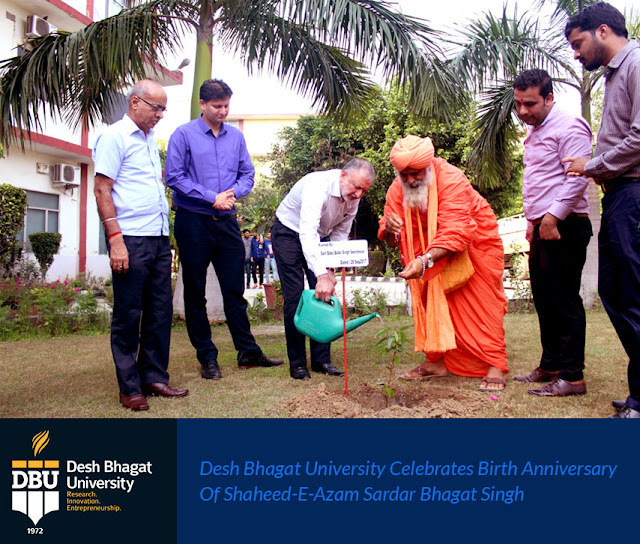 Vice Chancellor Dr. Virinder Singh said that Desh Bhagat University, best university in Punjab celebrated the anniversary of Bhagat Singh to inculcate patriotism, dedication, sincerity & love for our motherland amongst the students. Vice President Er. Sandeep Singh highlighted some aspects of the great martyr's life. On this occasion students participated in different competitions and showcased their calibre in events like Skit, Singing, Debate and Dance etc. 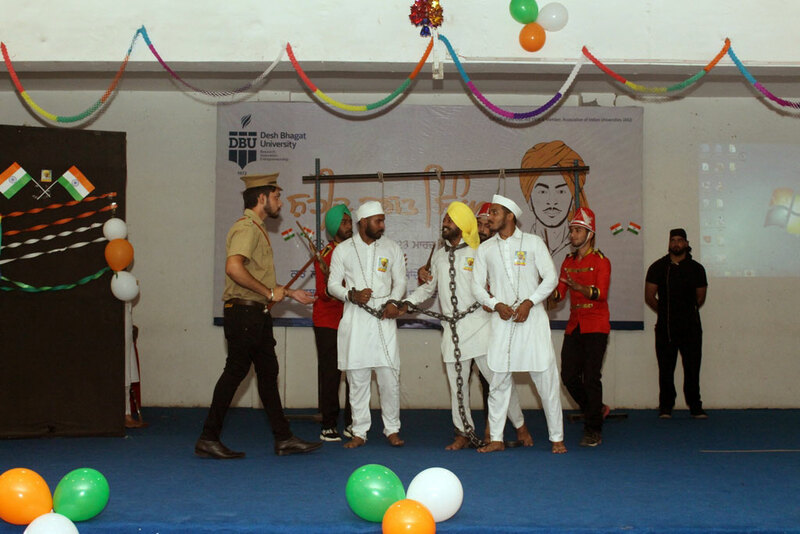 A short play on the life of Sardar Bhagat Singh was also the attraction of the day. 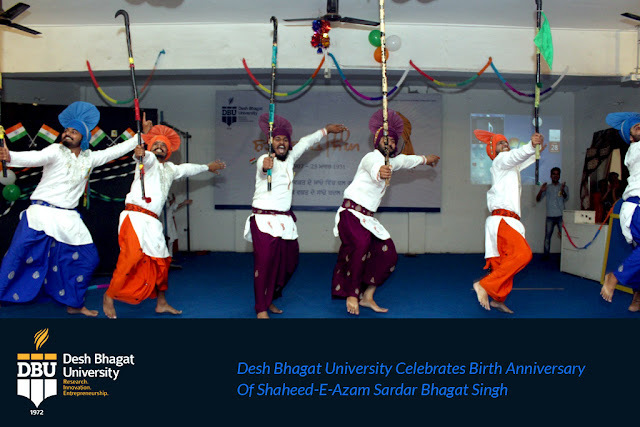 The highlight of the event was Bhangra Competition, in which 6 teams competed. Later, the winners of different competitions were given away prizes.